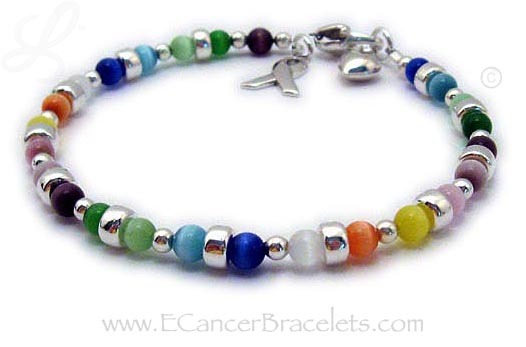 This sterling silver bracelet is shown with colorful Cats Eye Bead cancer colors. The Cat's Eye beads are 4mm intermixed with sterling silver beads, sterling silver clasp and sterling silver charm. The Small Puffed Heart charm shown is an add-on. We have 100's of charms to choose from. 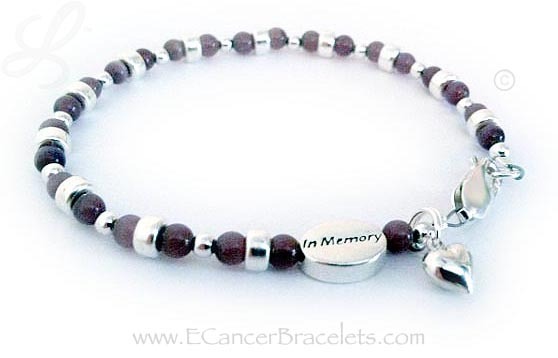 Shown with COLORFUL Cat's Eye Cancer colors. Includes ribbon charm, heart charm shown is optional. 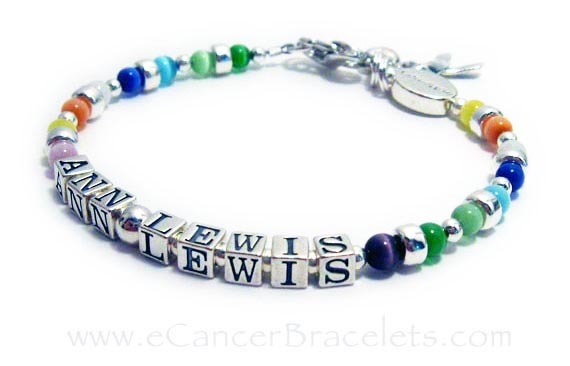 Shown with all my cat's eye cancer colors.
. Includes ribbon charm shown, heart charm shown is optional.